Looking for military baby clothes? why not take a walk all along the watchtower rockin’ this military baby sleepsuit, styled like the iconic Jimi Hendrix’s famous jacket, they’ll look rockin’ in this day or night. 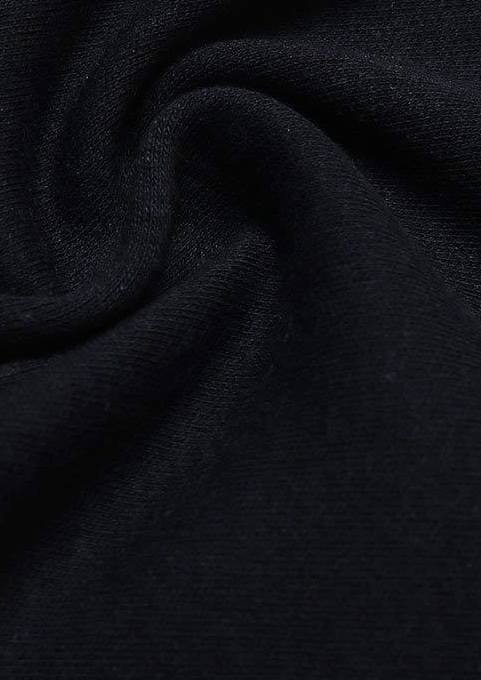 Soft black cotton military baby sleepsuit. 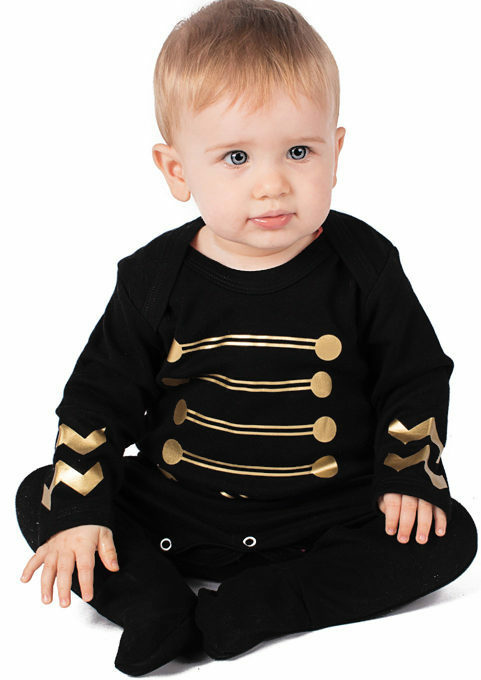 Envelope neckline & Poppers to inner legs for easy dressing of your baby rock legend. 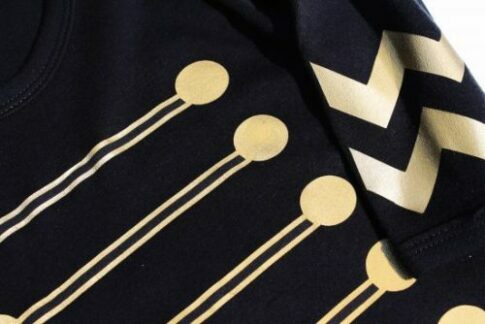 Military style gold print to chest & arms inspired by a rock legends iconic jacket. 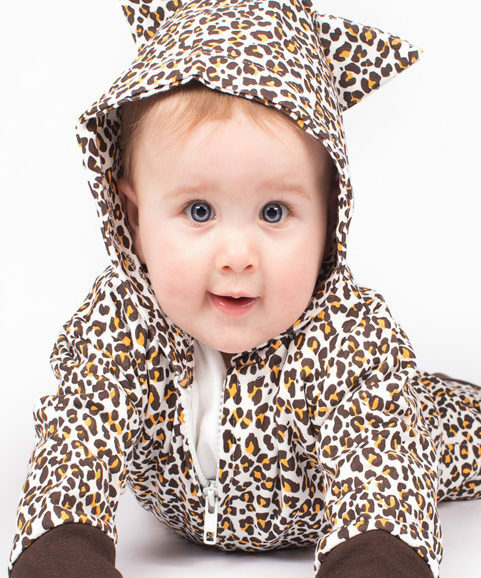 Gold print to this baby outfit stays bright wash after wash.
FREE UK P&P or choose international delivery. 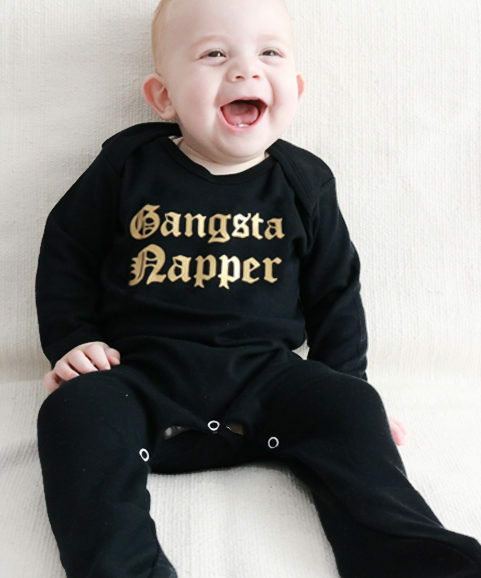 LOVE this style sleepsuit. 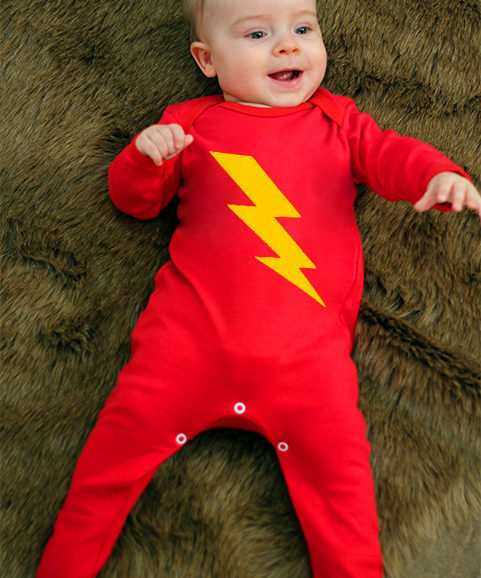 Wish it came in baby blue ( black for babies too much) and bigger sizes. Would order a sleepsuit in EVERY size!